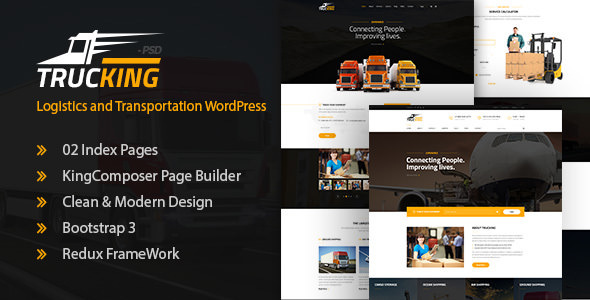 Trucking is WordPress Theme created for logistics, trucking, transportation companies and small freight business. It comes with wide range of homepage layouts that will fit any transportation industry size. Weather your company handles air freight, ocean freight, whole supply chain management, overland network or all of that together, you’ll certainly find a layout that will fit your needs.